I have what is probably an easy question for all you more experienced users about a dovetail bar. I purchased this bar (see pic attached) second hand a few years ago and finally want to use it to mount a guide scope on my Celestron 8SE. I've seen other similar bars say they come with radius blocks, but when I hold this bar against my OTA, it feels like it should mount snugly without them. The problem is, the holes don't line up. Im trying to identify the brand of this bar, and see if theres an accessory Im missing. Any insight would be helpful. Thank you. OK. For a start to mount the rail there has to be 2 holes in the rear of the OTA and one in the front of the OTA that match the holes in the bar. Doesn't your scope have a bar similar to that on it already to attach it to the 8 SE mount? If the holes in the bar you show match the ones that is already on the scope you probably need a bar specifically made as an accessory bar. The problem is that most SCT OTAs expect the bottom and top bar to be 180 degrees apart on the circumference of the tube, but in a Nexstar SE model the top bar has to be on the OTA only 90 degrees off from the one that mounts the scope to the mount. In that case you need a bar specifically made to use on an SE mounted OTA and you may not find one of those in orange. This is coming from someone who worked for a Celestron dealer for years but never did what you are trying to do. So you need to look for a bar made just for an 8 SE as an accessory bar. May or may not be enough business for someone to make that. Check ADM specifically. I think this is the one you need. Notice the rear riser has slots so it can fit a wide range of hole spacings in the rear. Also make sure you have holes both front and rear on the top of your OTA when its mounted on the mount. Edited by photoracer18, 09 January 2019 - 07:55 PM. It does have one at the front and two at the back. I just didnt show the one at the front in my pic. When lined up in the front, it splits the different between the screws at the back, i.e. the holes are wider on the mount that the holes on the dovetail bar. It does have a similar bar on the bottom to attach to the mount but i haven't looked at the screw configuration closely. Based on what you're saying this is probably a bar for a different scope. I thought it might be a stock Celestron but maybe not. Thanks for the insight. 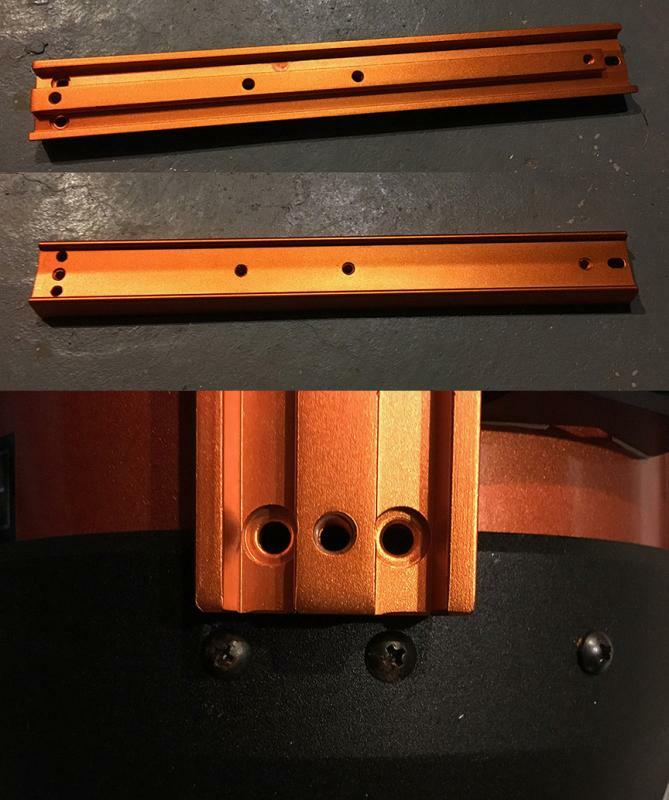 OK. For a start to mount the rail there has to be 2 holes in the rear of the OTA and one in the front of the OTA that match the holes in the bar. Doesn't your scope have a bar similar to that on it already to attach it to the 8 SE mount? Yeah that one will likely work, I was just trying to use what I already had. Probably will go ahead and put that on my shopping list when the budget can allow it. Thanks for the link! Sadly Celestron has been inconsistent between models.